Are you looking for a place to eat with the tribe that has a bit of a twist? These quirky cafes are worth a visit to make eating out that little bit more exciting for the kids. A visit to Jam & Cream is like a visit to a much loved Grandma’s house. Expect to see yummy treats on the menu including scones with – you guessed it – jam and cream, and delicious surprises like sweet scones, which are all named after ladies! There’s Bertha which is a Mars Bar scone, and May who is a lemon and poppy seed scone. Or if you fancy a savoury scone, there’s Montgomery who is a sweet chilli, cheese and lime scone served with sweet chilli sauce, or Basil – a tomato and cheddar scone. The milk comes served in old fashioned milk bottles and the decor is super interesting with a retro twist. Records have been cut into the shape of flying ducks, there is a collection of hand operated cooking implements mounted on the wall, and hanging in the window is a string of old-fashioned under garments. 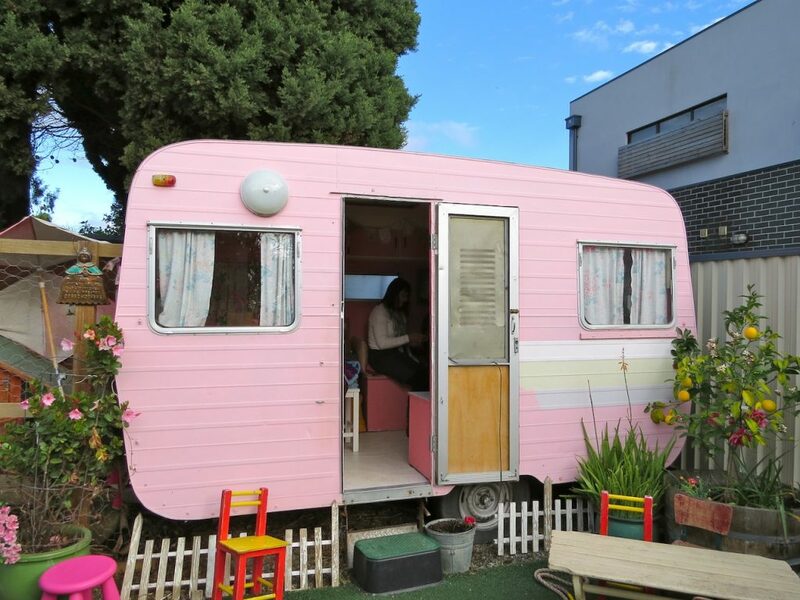 Out the back you’ll find a pink caravan where you can book to sit and have a high tea, and a little yard with chooks called Omelette and Sunday Roast. A visit to Jam & Cream is well worth the trip! 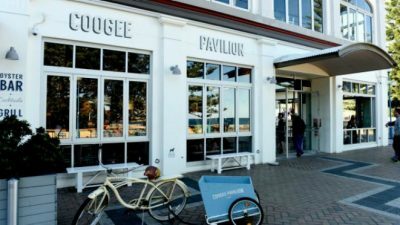 Right on the gorgeous beachfront in Coogee lies the Coogee Pavilion and inside, it’s a kid’s dream come true. There’s so much to do, see and eat in there! 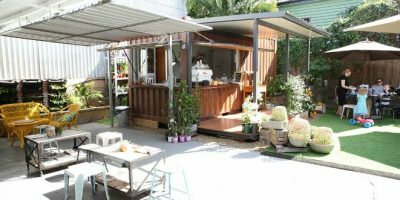 There’s a coffee cart for Mum and Dad, a juice bar, an actual bar (for a lunch time bevvy or two), flower stand, a seafood and pizza kitchen and seating all around the place to dine and relax. To entertain the tribe, there’s a giant Scrabble game, giant chessboard, table tennis, Connect 4 and a designated colouring station. Some of the stand-out menu items include the breakfast jaffle, and the pizzas are a must if you’re dining at lunch or dinner time. The kid’s menu has a good range of options to suit the fussiest of eaters. The Soul Pantry is described by its owners as an urban oasis and a space for people to relax and reconnect. With an onsite garden cafe, the tribe can relax among the abundance of greenery while they have a bite to eat, and it’s hard to visit The Soul Pantry and not want to do a bit of shopping while you’re there! There’s a flower shop, and they also sell everything from homewares and gifts to fashion and artwork. 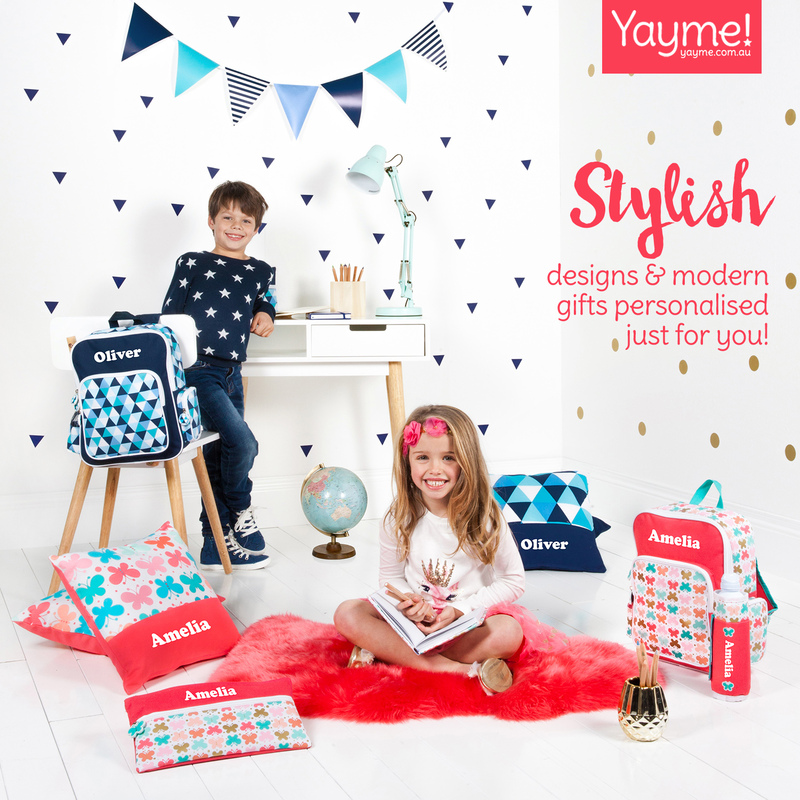 The kids will be kept amused by the play area which includes loads of fun toys and a colouring table, and you might want to check out the workshops too and book in for a class! 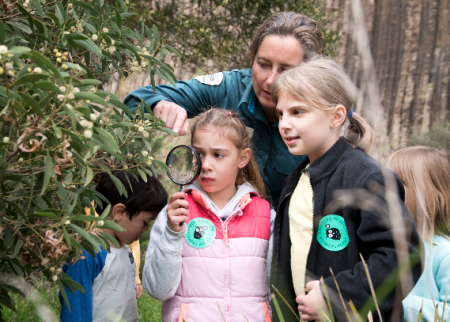 There’s kids classes too including terrarium making and cooking classes! This epic pub in Sydney’s North West has a rock climbing wall, playground, arcade games and a jumping castle as well as regular events specifically for the tribe to enjoy. But besides the epic line up of entertainment for the kids, the thing that is really quirky and special about this pub is its history. The Ettamogah Hotel was first created as part of a cartoon by Ken Maynard which featured in the Australasian Post. 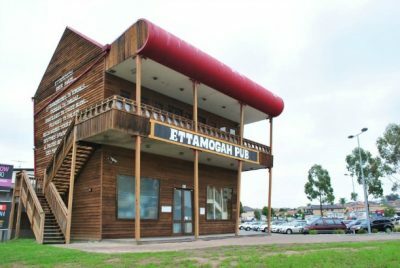 There have been multiple Ettamogah Pub’s around Australia, one even including the trademark sloping walls of the cartoon version. But the one thing that all Ettamogah Pub’s have in common is they are family friendly and aim to offer something to please everyone in the tribe. Legit – we’ve yet to taste a more delicious burger than the burgers we ate at Easey’s. One of our burgers – the Melbourne Madness – had a dim sim in it. It was incredible. But what made their burgers so great was the extreme burger research that Easey’s creator, Jimmy Burgers put into creating his simple but on point menu. Jimmy Burgers spent three years eating burgers every day. He ate over 3000 burgers and because of his dedication to his art – Jimmy was able to design a menu that is both ‘easey’ on the mouth and ‘easey’ on the pocket. But what will the tribe really love about Easey’s? 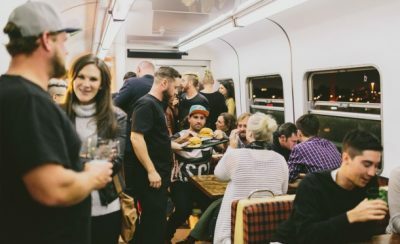 The restaurant is so cool, with graffiti walls downstairs, but you want to book a table up on the roof in the train carriage that has been converted to a burger diner. A meal at Easey’s won’t disappoint the tribe looking for something out of the ordinary to do for dinner.